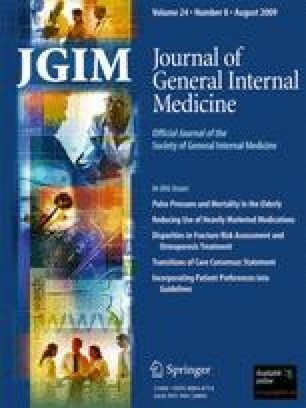 Although others have reported national disparities in the quality of diabetes care between the Veterans Affairs (VA) and private health care delivery systems, it is not known whether these differences persist among internal medicine resident providers in academic settings. We compared the quality of diabetes primary care delivered by resident physicians in either a private academic health care system (AHS) or its affiliated VA health care system. We included patients who: had a diagnosis of diabetes, had >2 primary care visits with the same resident provider during 2005, and were not separately managed by an attending physician or endocrinologist. A total of 640 patients met our criteria and were included in the analysis. Compared to the VA, patients in the AHS were more likely to be younger, female, have fewer medications, and be treated with insulin, but had less comorbidity. Patients in the VA were more likely to be referred for an annual eye exam (94% vs. 78%), receive lipid screening (88% vs. 74%), receive proteinuria screening (63% vs. 34%), and receive a complete foot exam (85% vs. 32%) in analyses adjusted for patient demographics and comorbidities (p-value <0.001 for all comparisons). In adjusted analyses, there were no significant differences in HbA1c, blood pressure, or LDL cholesterol control. In spite of similar resident providers and practice models, there were substantial differences in the diabetes quality of care delivered in the VA and AHS. Understanding how these factors influence subsequent practice patterns is an important area for study. This research was supported by the The Joseph C. Greenfield, Jr. Scholars Endowment. The first author (BJP) was supported by a KL2 career development award through Duke University and the NIH (KL2 RR024127). This research has been presented as a poster at the VA HSR&D 2009 National Meeting in Baltimore, MD, on February 11, 2009. This research was supported by the The Joseph C. Greenfield, Jr. Scholars Endowment. The first author (BJP) was supported by a KL2 career development award through Duke University and the NIH (KL2 RR024127). This research was presented as a poster at the VA HSR&D 2009 National Meeting in Baltimore, MD, on February 11, 2009. The authors would also like to acknowledge Beverly McCraw, Jennette Wood Crowley and Mike Harrelson for their assistance with data collection. Education ACfGM. ACGME Outcome Project: the general competencies. www.acgme.org. Accessed May 2009.